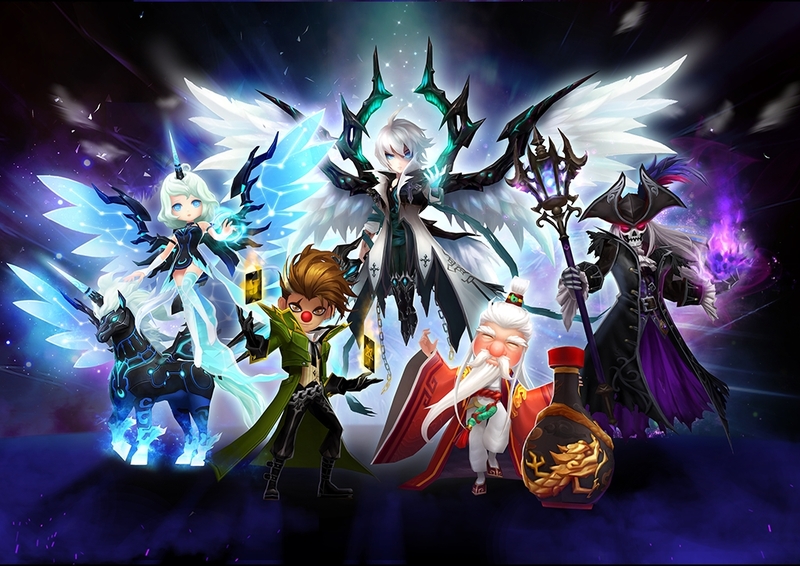 Summoners War v4.0.8 has been updated. - New Easy difficulty level, a level that's easier than Normal level, has been added. If you are one of Summoners who were having a tough time clearing stages in Normal level, we strongly recommend you to try out the Easy level! - The Guardians of Labyrinth (Leos/ Kotos/ Guilles) battle balancing modification has been made. : [Hard] The condition of the boss gaining a turn with [Immemorial Time (Passive)] skill has been eased. : [Normal] Immemorial Magic Power rune types have been modified. * [Normal] Due to the balancing modification, the boss battle order of Guardians of Labyrinth (Leos/ Kotos/ Guilles) has been reset to the default set. Please set up your boss battle order once again. - The Ruler of Labyrinth (Tartarus) battle balancing modification has been made. - The HP bar UI of the Guardians of Labyrinth (Leos/ Kotos/ Guilles) has been improved. * This modification will be applied to the game after the v4.0.8 update patch. - [Shop > Package] The star grade of Rune has been modified in the Rune Pack Ⅰ/ Ⅱ/ Ⅲ and Limited Item! Rune Package. ▶ The amount EXP you acquire from the [Dimensional Rift] battle has been increased greatly. ▶ If you have a Monster that reached its Max level in the battle result screen, the [Prepare] Menu Button will be displayed instead of [Retry] Menu Button. ▶ [Tutorial] If you type a Summoner name that already exists, other available Summoner names will be recommended. - (Fire) Barbaric King [Summary Conviction]: Fixed the issue of the skill not inflicting proper amount of damage under certain situations. The skill error has been resolved and the skill has been changed back to the modified version. - (Fire) Dryad: Fixed the issue of the Awakening effect not being applied properly. - (Fire) Ninja [Narrow Escape (Passive)]: Fixed the issue of the passive skill not being activated when you get attacked with skills that ignore the damage reduction effects under Invincible status. - [Tartarus' Labyrinth] Fixed the issue of the attack mark not being removed when your guild successfully cleared the stage with the attack mark. - Fixed the issue of the incorrect skill icon info being displayed when the Arcane Tower is attacking in Replay. Does the 5 Lanterns come in another update? Or I am missing something here? "Now, many of you are probably wondering how these points will be implemented to the game. First, we'll be improving the labyrinth via two updates. The balancing modification will be carried out via v4.0.8 update, and the overall flow of labyrinth will be improved via v4.0.9 update (planned to be released on late September)"
yea kinda like everytime i lose a fight i go "man if only my luck was better! that way id have better runes and better nat 5s!" so i say we remove all runes and all nat 4s and 5s and all good nat 3s just so i dont feel "i wouldve won if i had better luck"
"Implement the Real Time Arena changes globally. " I LOVE THIS IDEA!!! YES OMG PLEASE YES!!! implement it so that every fight is not rta! and vio is limited to 1 proc! make it more fair for me to defend my arena/guild vs having people abuse the dumb ai to their adventage and then cries like babies when they lose due to an extra proc or 2. I agree the AI is retarded, but abusing violent procs is not a good solution. Improving the AI will be beneficial everywhere. Not having to watch Lushen use his third skill on a single monster with 10% hp left on the second to last wave will be a bliss. Pay to win will always be present in a free online mobile game of this size the only difference is to what degree. Considering you can't straight up buy the monster you want or the rune you want and you can't buy content unobtainable by other means Summoner's War isn't doing too bad regarding P2W.